Links to Websites with Additional Information on Auburn History. 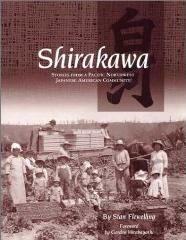 Shirakawa, by Stan Flewelling, is a book about the first Japanese immigrants to the White River Valley. It chronicles their early settlement, the lives of prominent local Japanese Americans, and the consequences of their internment during World War II. This volume, available through the South King County Genealogical Society, contains a photocopy of the Terada Transcript (which includes translations of most of the family names from the Japanese stones), a transcript of the English language stones as of 1997, a brief history of the cemetery, drawings and photographs. Located near the Auburn Library and Pioneer Cemetery, the White River Valley Museum contains many exhibits and information about the White River Valley's early settlers and history, including several of the people buried in the Auburn Pioneer Cemetery. In early 1942, President Franklin Roosevelt signed Executive Order 9066, clearing the way for the removal of thousands of West Coast Japanese—many of them American citizens and none of whom had been convicted of any wrong doing—from their homes and communities. The White River Valley Japanese were sent first to California’s Pinedale Assembly Center as they waited for permanent internment camps to be built (Seattle’s Japanese were sent to Puyallup’s Camp Harmony for the same reason). 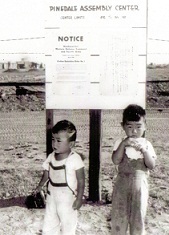 Eventually the vast majority of the White River Valley Japanese were incarcerated in California’s Tule Lake and/or Idaho’s Minidoka Internment Centers. Prior to Internment, approximately 300 Japanese families resided in Washington’s White River Valley. After the war, only 25 families returned. Densho is a non-profit organization whose mission is to preserve the testimonies of Japanese Americans who were unjustly incarcerated during World War II before their memories are extinguished. They offer these irreplaceable firsthand accounts, coupled with historical images and teacher resources, to explore principles of democracy and promote equal justice for all. If you have any questions, comments, or additional information, please email Kristy.